We found some footprints in our classroom today! A letter, a scroll and different clues had been left by a pirate to help us find his treasure. We followed the clues and found the treasure on the playground! We also discovered lots of objects on the way so we used time connectives to decide which order we found them in. Now we need to name our dinosaur! Wednesday 11th February - Warrington Wolves visit! 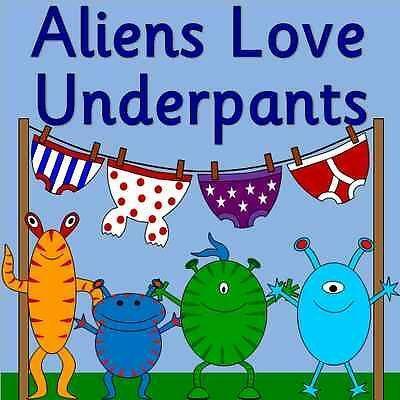 Year 2 were surprised to find underpants hanging on a washing line in their classrooms when they came back to school after Christmas! 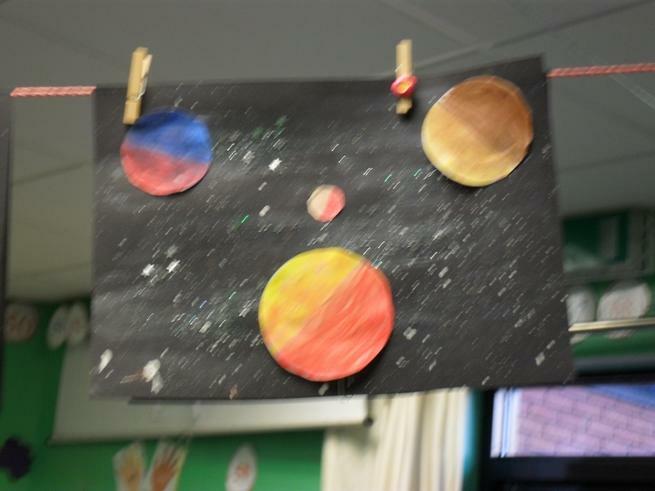 The Focus for this half term is SPACE. What facts do you know about space? 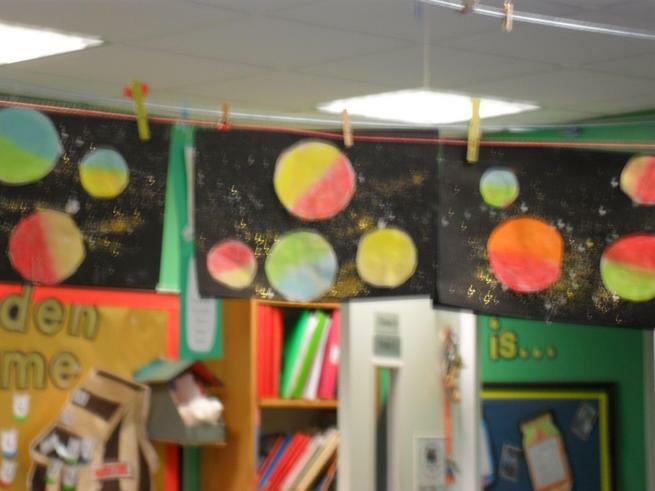 Look at our fantastic art work! 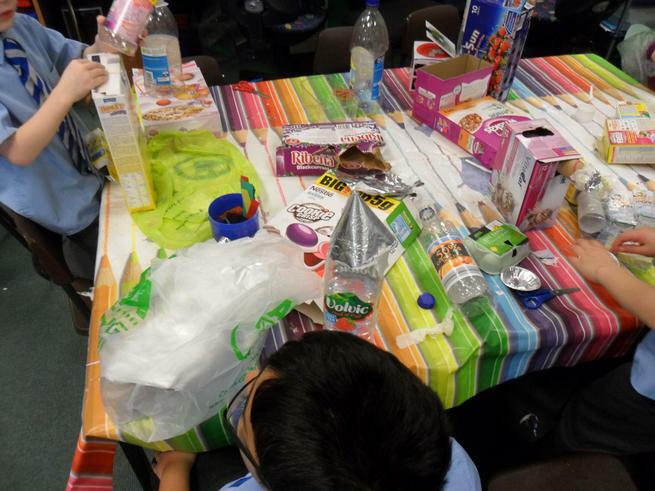 Can you select the right materials to make the spaceship crash? 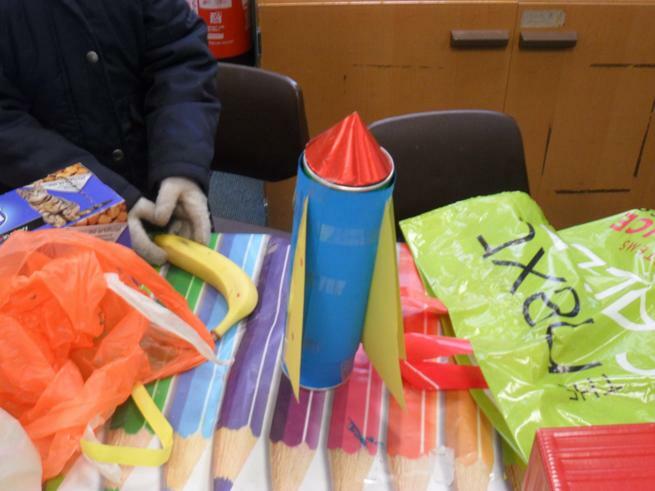 We had great fun making our rockets! Can you spot the 3D shapes we used? BBC Primary French colour words to practice. Look and listen then test yourself to see how well you can remember the colours! Try some other topics to - like "Introducing myself"